Top Inspirational Bloggers of India which are make their livings with blogging only and gets much reputation in online world and blogosphere. Blogging has become a more famous and popular and much searchable term on the internet now a days. It had become more popular in Indian less than a last 5 to 7 years back. There are a huge number of bloggers who only creates blogs for his passion but now a days after few years, there blogs become their online business and they only living with their blogs. India is a very big country as a population in the world, but also it has a very big place where IT ( Informational Technologies) rising day by day. With the increase of IT, the online approach become more and more with the people of India. Famous Indian Bloggers are earned a thousands of dollars every single month with only their blogs and make their living much beautiful as they did not as in real life. They earned huge money although it took about lakhs in Indian Rupees as well. However these all bloggers are young and inspirations for others , who wants to do more big in their life. 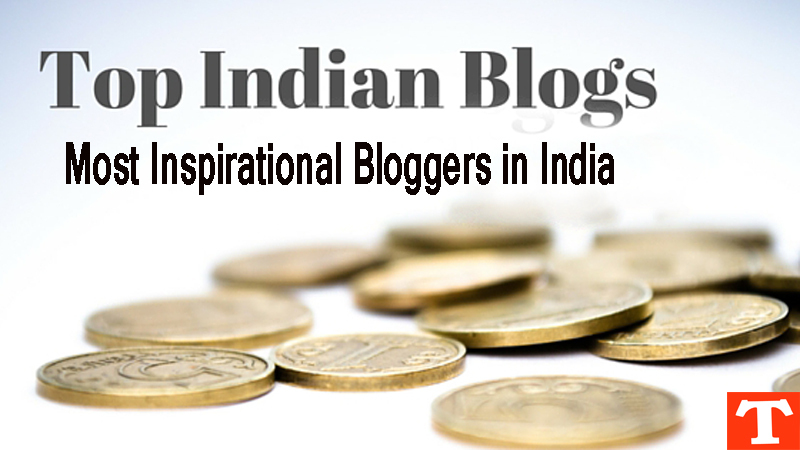 So i decided to list out these top Indian bloggers who make big amount from their blogs and inspirations for others. And also many other ways, but these are the main source of income of these bloggers. So see these bloggers and his earning and blog state to inspire yourself and start blogging today. All earning are shown here are estimated and not exact, but they earn more than or less than these types of earning.This list basically designed by these bloggers inspirational articles, alexa ranks, page rank, est earning etc. Amit Agarwal is a very famous blogger of India. Almost every blogger in the world knows him. He is also known as “ God Father’s of the Indian Bloggers “ . He started his blogging career in 2004. He is the top and world famous blogger in India. He is very unique personality .He mainly Focus on technologies. This blogs has many time select as a featured blogs in Indian as well as in the world Magazines. Another Famous Agarwal in Blogging is Harsh Agarwal . He is the Founder of ShoutMeLoud.Com . He also lived in New Delhi , India. He works in a Software Company but after when he achiecved much with his blog, he quit his job and start his blogging career. He is very famous to show his income report on his blog, that is very inspirable thing for other young bloggers. His blog mainly covers Blogging, Marketing, SEO etc related stuff. Harleena Singh is a very famous lady in india as well as in world bloggers community. Her popular and ver famous blog named” Aha-Now “ was awarded as one of the top personal development blog in 2014. She also earned big amount from her single blog. She is also inspiration for other bloggers of all around the world. Amit bhawani started his blogging career in the year of 2007. He mainly wrote about Health, Technology, Career and Pictures etc. Now he is working as SEO managerof his own blog. He also earn online money though his blog . He is very inspirational blogger for the other young bloggers. Shardha Sharma is also very popular and famous top blogger of India. Her blog is top media platform for the intrepreneurs, dedicated to the passionately and promoting entrepreneurial ecosystem in India. She is the most inspirational and motivational speaker in india. She writes mostly on Media Related articles . Her blog also featured many time in many places in India. Raju PP belongs to Bangalore, India. He is an Electrical Engineer. He worked as a technical specialist. His blog name TechPP.Com mainly focuses on Technology and online tools related stuffs. He is also very youn and a famous blogger of india. Kulwant Negi is a full-time blogger from India. He likes to write especially on Blogging, SEO, and WordPress related stuff. I’m also learned much from his blog. The written materials are so attractive, and catch anyone who visit his blog only first time.If your learn basic to advance level things related to blogging then go to his blog. He is very passionate about blogging and very good in writing. He is famous and top bloggers in India. Thanks for including me and my blog in this wonderful list, an honor indeed to me mentioned with so many other awesome bloggers. Thanks Harleena , I'm much inspired from you especially from your writing skills. You always deserve this. You always most inspirational blogger from India for me and almost all others.